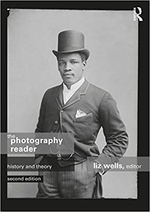 Following on from its hugely successful first edition, The Photography Reader: History and Theory provides deeper insight into the critical discussions around photography  its production, its uses and its effects. Presenting both the historical ideas and the continuing theoretical debates within photography and photographic study, this second edition contains essays by photographers including Edward Weston and László Moholy-Nagy, and key thinkers such as Walter Benjamin, Roland Barthes and Susan Sontag. Along with its companion text "The Photography Cultures Reader: Representation, Agency and Identity" this is the most comprehensive introduction to photography and photographic criticism. Sections on Art photography, Documentary and Photomedia.